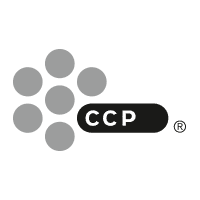 Since then, CCP has dedicated itself to the development of cutting edge games. CCP is founded on the principle of pushing the envelope and breaking new ground on all levels. Nowhere is this more evident than in our pioneering work in virtual reality. Employees have a wide background at CCP. Most employees have a technical background but many of them also have a specific and even rare background/experience in their discipline. Others don’t have a specific educational background but have experience in a certain field that is useful, like in Community or Production. The most valuable characteristic is willingness to go the extra mile. Other valuable characteristics would be openness, flexibility and courage, and to always be striving for excellence. Being able to communicate effectively and collaborate with others. And of course, innovation is of high importance here at CCP. CCP is a very innovative company in a dynamic environment. Things happen quickly, and changes are inevitable and sudden. For curious, ambitious and energetic people, we believe this would be a very attractive environment to work in. CCP takes social responsibility very seriously and has implemented a number of policies to support equality, innovation, education and the environment. CCP supports charities and projects that are in line with the United Nations Development goals. In 2017, CCP received an equal pay recognition, which we are very proud of.